My aunt purchased these two uniformed dolls in the 1960's at an auction. 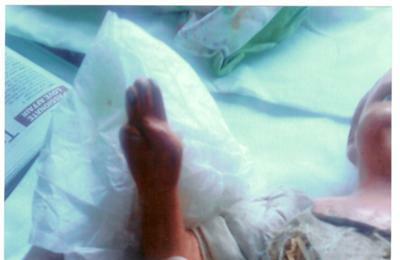 They have plaster hard material heads,necks, lower arms, and lower legs with boots painted on. Their bodies appear to be some type of straw filled hessian material. As you can see they are dressed in some khaki uniforms and are making some form of a salute with the thumb and little finger of one hand. Visiting experts to a Melbourne doll show a few years ago could not id them other than to say they were not of English origin. They have no markings whatsoever and are a little damaged. Anyone have any ideas on how old and what type of doll they are. Comments for ? ?military soldier dolls?? 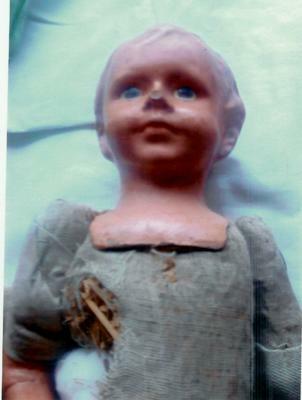 Good Morning; Freundlich in the US made composition dolls similar to this. He seems to have an Australian uniform, perhaps this is a similar company? 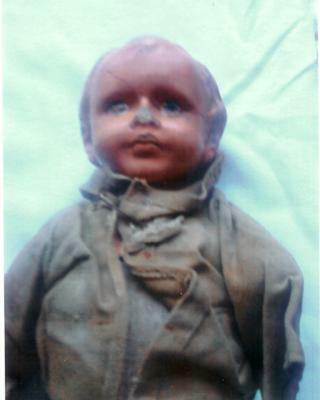 I have similar dolls by Freundlich from WWI and WWI. Ellen T, Dr. E's Doll Museum, wwwdollmuseum.blogspot.com.